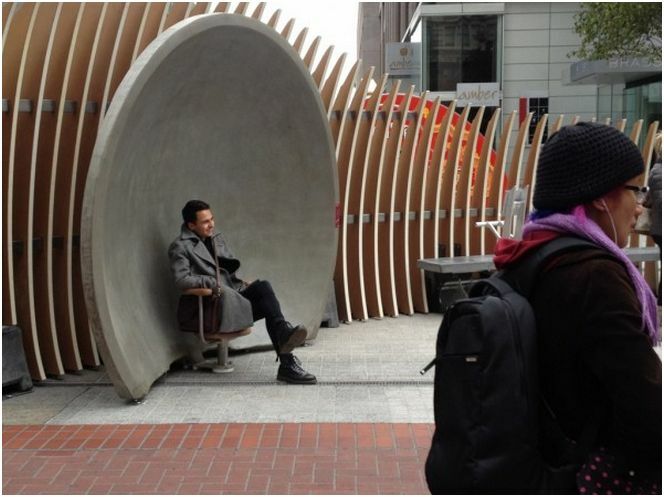 The bowl-like objects, which face each other at Market Street and Yerba Buena Lane, are actually parabolic acoustic amplifiers – whisper into one, and somebody at the other one 50 feet away will hear it loud and clear. Help communities to brainstorm new public space improvements by adding to the YIMBY list. Which projects, big or small, inspire you? You can also choose to get focused updates on specific projects or programs.